The initial six cases were all from the yard of National Hunt trainer Donald McCain, while on Sunday night four positives were confirmed from the yard of Newmarket trainer Simon Crisford. 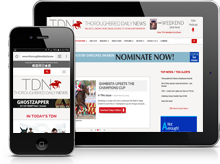 Brant Dunshea, the British Horseracing Authority’s Chief Regulatory Officer, said, “Our approach since hearing about the first positive results last Wednesday has been based on accumulating as much information as we could as quickly as possible so we could properly understand the risks of this virulent strain of flu spreading to more horses. That would be harmful to them and damaging to any trainers’ yards that became infected. It has also been our intention to ensure that we avoid an issue that could result in a long-term disruption to racing with the risk of many of our major events being unduly impacted. “After analysis of thousands of samples, and no further positive tests on Monday, we still only have two confirmed sites of infection. We have put robust containment measures in place around both. From the testing and analysis conducted the disease appears to be contained at present. The BHA veterinary committee believe that the swift controls on movement that were put in place have clearly helped to restrict the spread of this virus. Trainers with runners for Wednesday are advised to declare at 10 a.m., after which the BHA will review all declarations to ensure none have been declared that do not meet the risk criteria. Declarations for Thursday’s flat all-weather meetings will now be at the 24 hour stage. No entries or declarations will be accepted from horses that have not been vaccinated in the previous six months. Trainers will be required to provide a health declaration upon arrival at a racecourse. 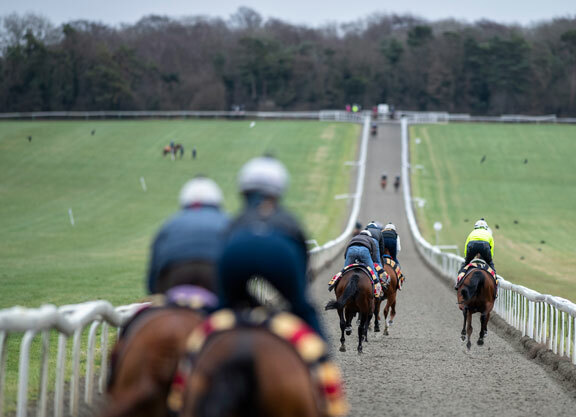 The BHA’s Director of Equine Health and Welfare, David Sykes, said, “The BHA and the veterinary committee agree that, on balance, the level of risk is acceptable for a return to racing. British-trained horses were also cleared on Monday afternoon to run in Ireland. The Irish Horseracing Regulatory Board shut the borders to British horses when the situation began to unravel last week, but Dr. Lynn Hillyer, chief veterinary officer at the IHRB, confirmed on Monday the ban had been lifted. “They are fine [to run in Ireland], provided they can fill the requirements that we set out in our release on Friday night, which said that horses need to have received a vaccine for equine influenza which contains Clade 1 virus within eight weeks of their race,” she said. “As long as they can fulfil that requirement, they are fine. Obviously, by definition, they will only be coming from yards which aren’t under restriction from the BHA.